September 12, 2016 – MasterCard released new July 2016 EMV chip card numbers earlier today. MasterCard chip cards now account for 88% of the U.S. MasterCard cards in the wallets of U.S. consumers. While that number is high for consumer adoption, merchant adoption is much, much lower. 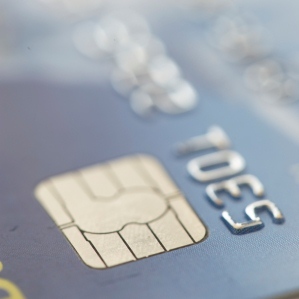 Only about 33% of U.S. merchants have transitioned to EMV chip terminals, which equals about 2 million U.S. locations. Although that merchant number is low, counterfeit fraud reduction is high for those merchants. They’ve seen a 54% decrease in fraud costs! On the other hand, for merchants who have not yet adopted it, the fraud costs are up 77%. As of July 2016, 88 percent of Mastercard U.S. consumer credit cards have chips, representing a 105 percent increase in chip card adoption since the October 1, 2015 liability shift. The company also sees 2 million chip-active merchant locations on its network, a 468 percent increase in chip terminal adoption since October 1, 2015. Two million merchants represent 33 percent of all U.S. merchants. Of the 2 million chip-active merchant locations, 1.3 million are regional and local merchant locations, representing a 159 percent increase since October 1, 2015. Nine-in-ten Americans commonly use chip cards, a 38 percentage point increase year-over-year, from 49 percent in 2015 to 87 percent in 2016.